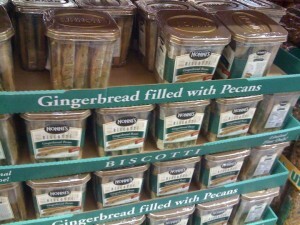 Costco has just gotten in a large supply of Gingerbread biscotti. These biscotti have pecans in them and they are even iced with a vanilla flavored icing. These biscotti are so delicious! 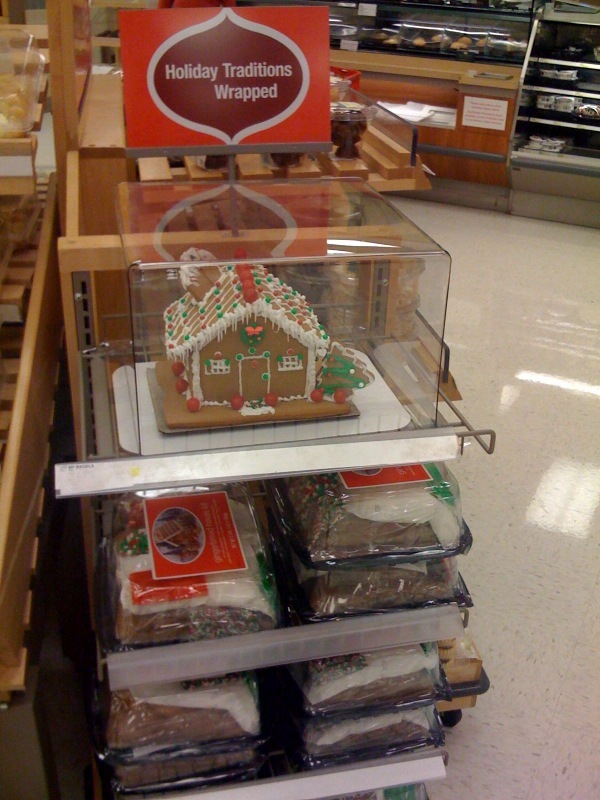 My husband put one bucket of these Gingerbread biscotti in our carriage for me and I could not wait till we got home to open and try one. 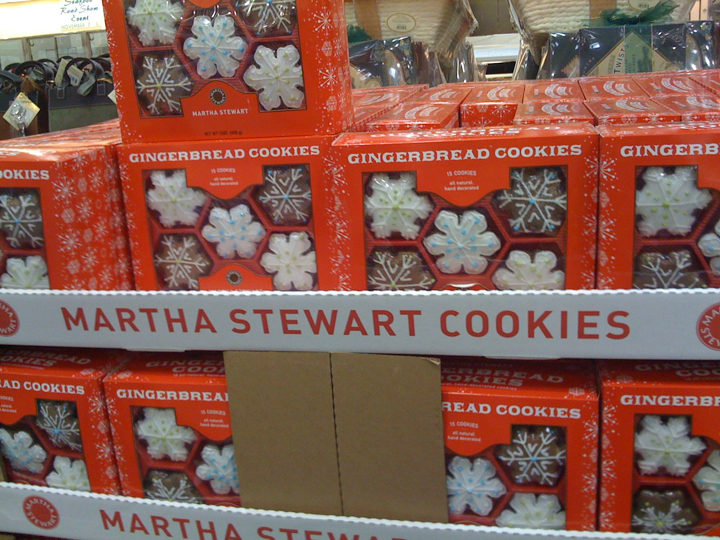 WOW – these are super yummy and they smell so very good too! Each biscotti is individually wrapped. 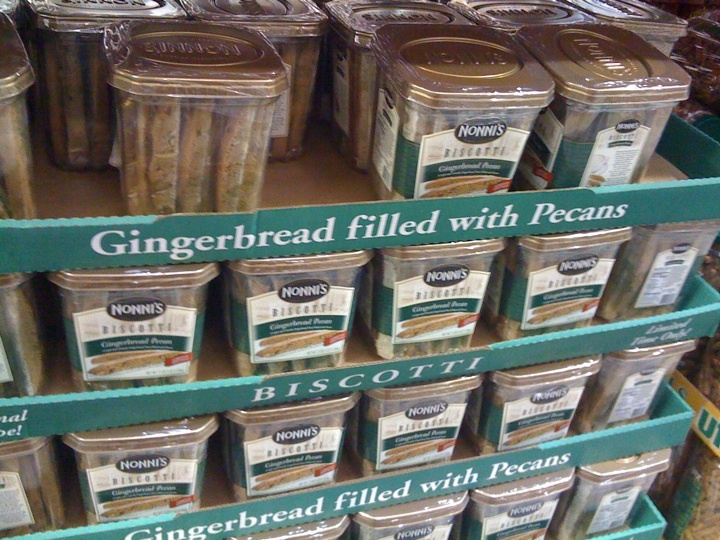 I have never heard of Gingerbread biscotti but I am so glad we were at Costco when we were. 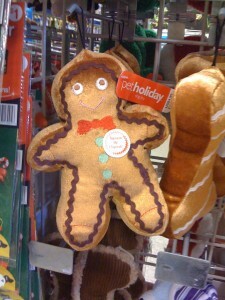 Hurry to Costco and get some for yourselves while they are in stock! We were at Costco this weekend for our weekly Costco run and could not believe all the Gingerbread items that are available; keep watching here at www.gingerbreadfun.com as we will be posting pictures of these items in the next couple days. I thought we’d start with these Martha Stewart Kirkland brand Gingerbread snowflake cookies. These Gingerbread snowflakes are beautifully decorated and already boxed so they would a make lovely gifts or holiday favors or better yet- a special dessert. Each snowflake-shaped cookie is hand-decorated with royal icing and sprinkled with sanding sugar and sure to dazzles your guests and taste buds too. We were out and about this weekend and stopped at our local Barnes and Noble bookstore and were pleased to find these cute plush Gingerbead kids sitting in a Gingerbread mug ready to go home with you! What a great gift idea. These would make a very nice gift for your office co-workers, volunteers at your local hospital and church, and for yourself. 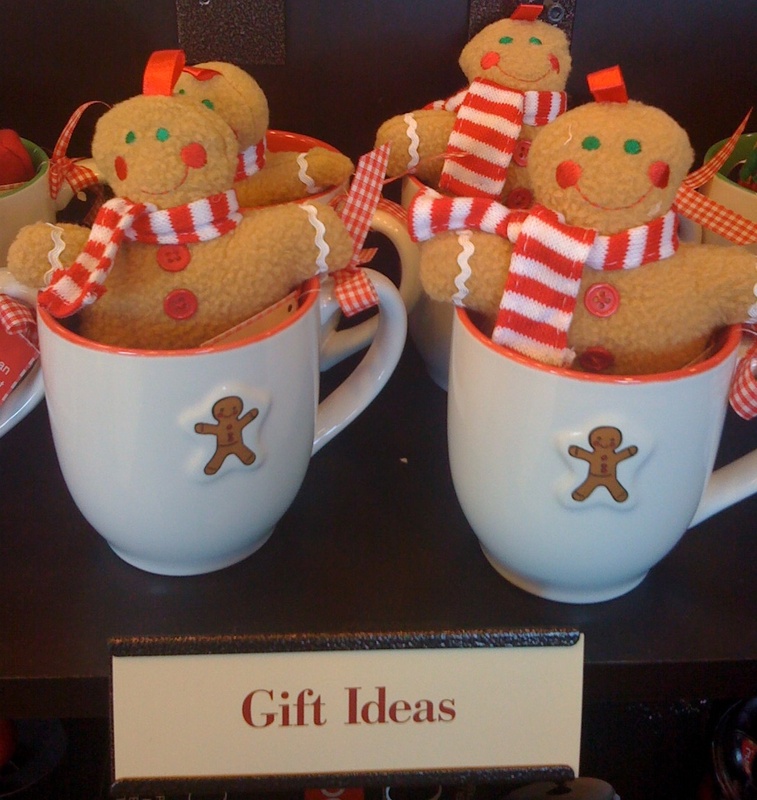 The Christmas holidays are fast approaching and these cuties will surely be snapped right up so remember to take some time out for yourself and perhaps enjoy a Gingerbread Latte right from one of these Gingerbread mugs.